The Twenty-First Judicial District Commission on Judicial Performance, by a vote of ten members, unanimously recommends that Chief Judge David A. Bottger BE RETAINED. Judge Bottger was sworn in as a District Court Judge for the Twenty-First Judicial District in 1987. He received his undergraduate degree from Ohio Northern in 1973 and his law degree from Notre Dame University School of Law. Judge Bottger was admitted to practice in Colorado in 1976. 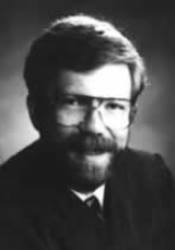 He served as a law clerk for Colorado Supreme Court Justice Lee and then entered into the private practice of law from 1977-1983. In 1983, he was appointed to serve as Mesa County’s first Magistrate. Judge Bottger was appointed Chief Judge of the 21st Judicial District in 2005. Judge Bottger is a member of the Mesa County and Colorado Bar Associations. He also works with local high school academic teams, as well as speaking to local high schools and students at Colorado Mesa University. Judge Bottger presides primarily over criminal matters but also presides over domestic relations, civil, and probate matters. From 2007-2011, Judge Bottger was the primary judge handling the District Court civil docket. Since returning to a rotating docket, including criminal cases, Judge Bottger has implemented Evidence Based Decision Making (EBDM) in the sentencing of criminal defendants. Judge Bottger has taken a leadership role over the past 5 years in implementing Evidence Based Decision Making in collaboration with other criminal justice agencies. Mesa County is currently the only jurisdiction in Colorado utilizing EBDM, which includes scientific data collection and evaluation of the criminal justice outcomes. Attorneys described him as fair, reasoned, smart and conscientious. Of particular note were his overall comments about being prepared, knowledgeable and able to move cases along on his docket. In sentencing, his willingness to listen to evidence, individual situations and show compassion were noted. Non-attorneys described him as neutral, willing to let all sides be heard, articulate and able to explain the law and procedures that apply in the courtroom. The committee found Judge Bottger to be hardworking, intelligent, diligent, able to implement change, and a strong leader. The Commission views Judge Bottger as an asset to the bench.